Hi everyone! I have something very exciting to share with you. Today, I bring you the first of a series of 3 piCture pOlish mini nail art challenges. I will create each design featuring 3 specific PP shades! I’ve been dying to show you this first post. It’s even more meaningful to me as the topic is, I’m sure you’re already aware, on breast cancer awareness. I also swatched the 3 shades featured here for you. In case any of you might need them as much as I do. Beige is the perfect shade for me! I never thought I’d love such a neutral color, but I’ve worn it twice already since I received my nail mail cause because it’s the ideal combination of simplicity and elegance. The formula also applies with piCture pOlish’s signature smooth and creaminess. Dream is the beautiful quintessential pink. Again, it applied flawlessly, reaching full opacity in 2 coats. I was surprised that this color even caught my husband’s eye, who lifted my hand into the light and exclaimed, “What a lovely pink!” Another bonus, this shade of pink was perfect for the ribbon design I envisioned in my mind. Whimsy is a gorgeous baby blue abounds with iridescent particles that flash silver and delicate gold sparkles. 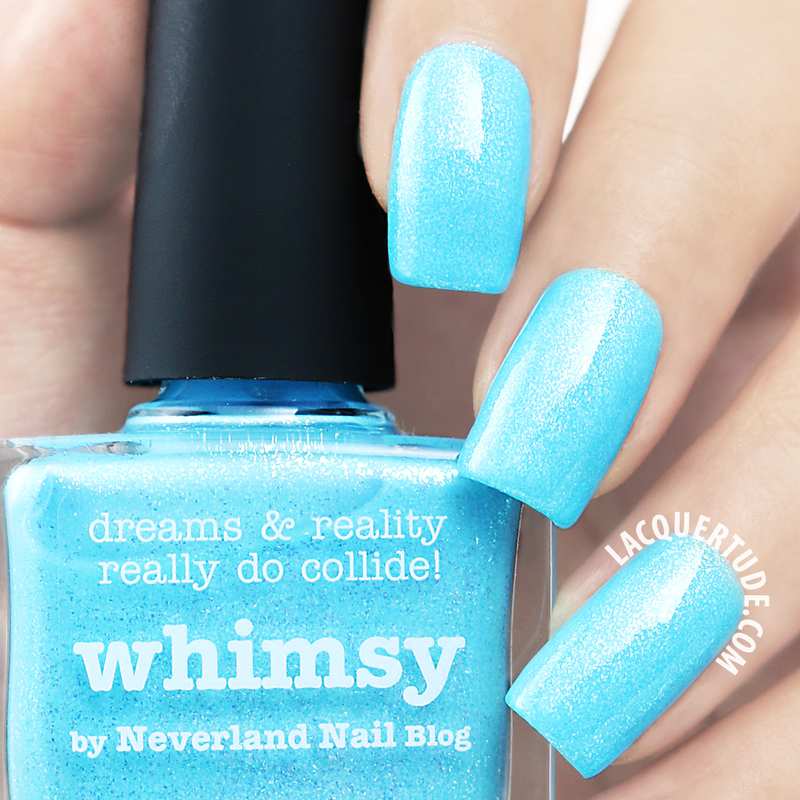 It’s a collaboration shade with Lindsey from Neverland Nail Blog. Not only is she a talented nail blogger, she’s also a proud Christian. I feel both blessed and privileged to be able to call her my sister in Christ! Please head on over to her blog to read more about her inspiration for this amazing polish. 2 easy and smooth coats.